So you have finally completed translating your incredible idea into the most informative and compelling PowerPoint presentation ever. It is truly your best work. There is not doubt that the people you are about to present to will be amazed. You go to print it on your home or office printer. And somehow, it just doesn't look the way you envisioned it. That's where we at QPS enter the picture. 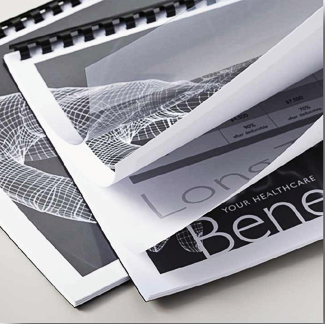 Our PowerPoint printing capabilities are a match for your ideas and thoughts. Pitch book printing and presentation printing on the most sophisticated and efficient printing platforms available today are the mainstays of our business. Color laser printing is as much of an art as a science today. Our professionals have years of experience making sure your output is clearly and dynamically presented. Quality Powerpoint printing requires professionals who ask the right questions, understand what you want to accomplish and then can help make your Powerpoint presentation be a success.